Tomek Mackiewicz from Poland and the Frenchwoman Elisabeth Revol, just now shivering with cold in their camp at 6,000 meters, most definitely intend to descend to Base Camp to recover again. 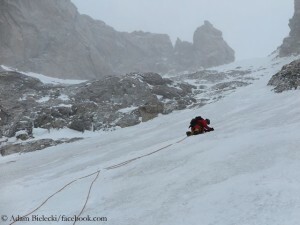 But first they want to climb up on the Messner route up to 7,000 meters on Friday, when conditions are suitable. The Pakistani Arslan Ahmed, the third member of the “Rubber Duck” team, has so far stayed back due to health problems. The trio wants to complete the Messner route, in Alpine style too. 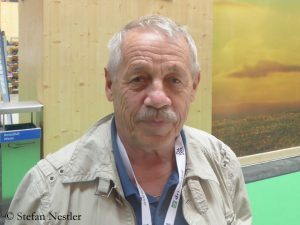 The route was opened up to an altitude of 7,500 meters by the South Tyroleans Reinhold and Hubert Messner, Hanspeter Eisendle and Wolfgang Tomaseth in 2000. The Italian duo Tamara Lunger and Simone Moro is also planning to reach the top on this slope of the eight-thousander, which so far has never been scaled in winter. 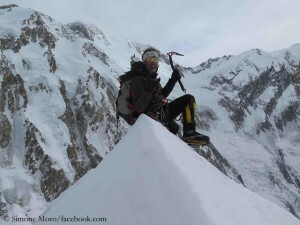 Both have now completed their acclimatization on the 6608-meter-high Ganalo Peak in the Nanga Parbat massif. 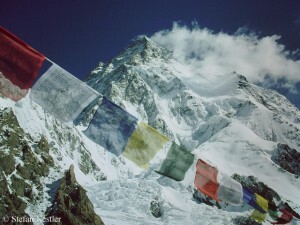 The fourth team on the Diamir side of the mountain – the Spaniard Alex Txikon, the Italian Daniele Nardi and the Pakistani Ali Sadpara – has pitched their Camp 1 on the Kinshofer route at 4,850 meters. 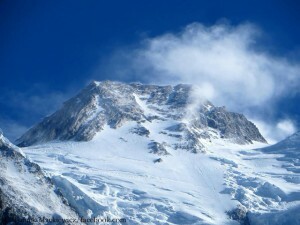 “The highest and steepest slopes look much more icy than last year”, writes Alex. On the Rupal side of Nanga Parbat, the Polish “Nanga Dream” team, which is led by Marek Klonowski, climbed up to a height of about 6,000 meters on the “Schell route”. 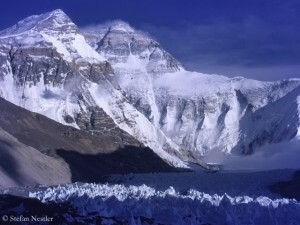 For the coming weekend, calm winter weather is expected on the ninth highest mountain on earth: no snowfall, less wind, temperatures around minus 30 degrees – a good chance to work their way further up. Simone Moro doesn’t want to speak of a race for the first winter ascent of Nanga parbat: “Everybody has the same goal and it isn’t ‘who is the first on the summit’ but try to do climb till the summit. Whoever will be able to do, first, second or tenth, would realize a dream that had been tried and dreamed from the best high altitude mountaineers of the last 30 years.” I think any climber on Nanga Parbat would probably sign this statement, but do they all really think that way? It can hardly be opposed that each winter expedition that failed – meanwhile more than two dozen – has increased the prestige value of the project. And thus the market value too.